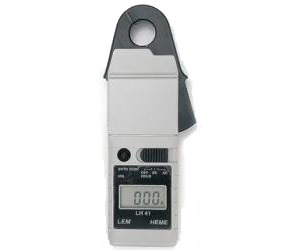 The compact size of the LH41 makes it ideal for taking general measurements on small conductors. Its excellent accuracy and resolution of 1 mA offers exceptional performance at a reasonable price. If you are working on battery-based systems monitoring of load current on small and medium ac and dc loads the LH41 is an excellent choice. Its capability for comparison of dc sensor and control circuits make it the ideal troubleshooting tool.